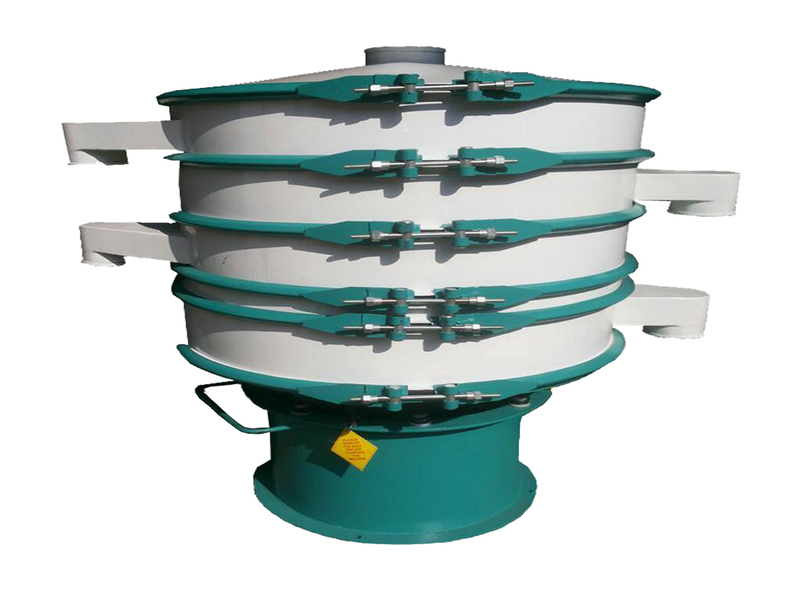 We are operating as the reputed Vibro Sifter manufacturer, supplier, and exporter in India. Our offered vibro sifter machine is used for material screening and for separate liquid and solid particles from the composition in chemical, pharmaceutical, beverage, mineral, and many other industries. Vibro Sifter is a circulatory type screening machine used in diverse industries for the screening of liquids and solids. It can separate the mass composition of liquid and solid along with grades material as per the size of the particle. They are used to separate the mass composition of liquids from solids, solids from solids and for gradation of materials as per the size of particles and have a wide range of application in different industries. This task is accomplished by the vibrating of screens in different planes and vertical axis by a specially designed vibratory motor having weights at the bottom and top of the motor shaft. Weight mounted at the top causes vibration in the horizontal surface and which causes the material to move across the screen periphery. Vibration in the vertical tangential axis is caused by lower weight, which also acts to tilt the machinery. In this operation control of the screening, the pattern is provided by the angle of the lower weight and upper weight. Thus material moves across the tangential and vertical planes along the screens for maximum screening.